SAP continued its cloud product trajectory today when it unveiled Business One OnDemand (BO-OD) at the CeBIT conference in Hannover. Prior to this release, Business One was available as a (managed services) hosted product, but not a SaaS solution with a multi-tenant architecture and subscription pricing. Business One OnDemand is an ERP suite — with Finance & Accounting, Distribution & Inventory management, and Sales & Procurement — targeted to businesses at the smaller end of the SMB range (generally less than 50 users). 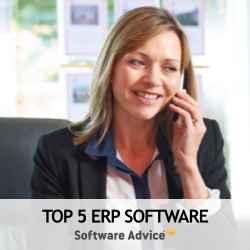 In a statement, SAP said the ERP software is "suitable for customers seeking to implement their first holistic ERP software as well as for affiliates of large enterprises with deep industry functionality requirements." Initial availability in with 18 countries, including Australia, Austria, Brazil, Canada, China, Czech Republic, France, Germany, Hungary, Italy, Mexico, the Netherlands, Singapore, South Africa, Spain, Switzerland, the UK, and the US. The new cloud ERP introduction is spot on with market demand. Cloud ERP is seeing increased interest and adoption as SMB companies with simpler processes and without existing (sunk cost) legacy system investments are enthusiastically reviewing and subscribing to cloud business systems. As IDC analyst Ray Boggs comments, "Small and midsize companies continue to be a relatively untapped market for SaaS/hosted solutions, especially small firms." As with the Business One on-premise ERP software, BO-OD will be sold exclusively through a reseller channel and independently hosted by partners. SAP requires hosting providers to obtain an SAP hosting certification. This is a different approach from SAP Business ByDesign which is hosted by SAP. Somewhat interestingly, SAP "encourages" its partners to price the product based on a traditional SaaS subscription pricing model rather than a perpetual software license. Pricing is slated to be €99/user/month but may vary a bit by partner. Also interesting, SAP has lined up a number of telcos as their initial go to market channel partners – a move that has been tried many times in the past and never been successful. Telcos make the argument that they already have customer relationships with the bulk of the SMB market so they are therefore in position to grow their customer relationships with additional products such as ERP software. They're also highly motivated to diversify from B2C with more B2B business and enhance their commodity solutions with higher margin products that generally earn long-term business relationships. However, few SMBs look to their telcos for business software advice — particularly for mission critical business systems — and in all candor very few telcos have the resourcing to deliver ERP advice let alone technical and professional services such as deployment, business process reengineering, change management, integration and customization. ERP guru Dennis Howlett comments, "Very few telcos (which SAP is targeting as operators) have experience in running multi-tenant applications - if indeed this is true multi-tenant and not a variation of the mega-tenant idea which plagued the economics of Business ByDesign. Everything I know about multi-tenant architecture tells me that SAP is likely to be stretching the definition unless they can convince that they have re-engineered the underlying infrastructure. Even then, problems abound." Rinse Tamsma, SAP Business One OnDemand SVP in the Ecosystem and Channel operation is responsible for the company's Business One and Business All-in-One products, and suggests that SAP has added a new layer of technology, including a new user interface and new life-cycle management and provisioning capabilities, to facilitate cloud deployments. Whether SAP has leveraged a traditional multi-tenant architecture or created some type of derivative remains to be seen. Business One counts some 34,000 customers due to several competitive factors. Architecture aside, SAP's Business One is known for some rich features, extensible configuration and flexible customization – all powerful capabilities IF and only if designed and implemented correctly, which generally means when supplemented with trained consultants or expert advisors. The existing Business One channel of value added resellers (VARs) has these skills. The telcos do not. SAP has seemingly partnered with the telco channel as they don't want to host BO-OD themselves and many telcos do possess impressive data center and cloud delivery platforms. The move works for cloud delivery, but that's a small piece of deploying sophisticated ERP software. It's early but I've seen this movie before. Expect the telcos to acquire a small number of vanilla deals (which more often go to competitors such as Microsoft Dynamics), fail to achieve a respectable number of customer acquisitions, delay SAP's go to market strategy and ultimately be sidelined by the existing VAR channel which will slide in to pick up the slack and the pace. It's early but I've seen this movie before. Expect the telcos to acquire a small number of vanilla deals, fail to achieve a respectable number of customer acquisitions, delay SAP's go to market strategy and ultimately be sidelined by the existing VAR channel which will slide in to pick up the slack and the pace."